Medical wellness hotels: enjoy medical spa treatments perfectly adjusted to the needs of your body during your holidays in Italy. Your health is in the best hands with the spa experts at your Dolce Vita Hotel. Medical Dr. Alexander Angerer at Hotel Preidlhof is responsible for medical wellness at the Dolce Vita Hotels in South Tyrol. He and his team will take care of your well-being. Treat yourself to medical wellness & spa under professional supervision during your holidays - trust in the experience and knowledge of medical doctor Alexander Angerer. Dr. Angerer is a practical doctor with great experience in the fields of acupuncture, meridian diagnosis and nutrition counselling and has professional training in the field of homoeopathy. Your therapy plan will be perfectly adjusted to your needs. Let the wide range of medical wellness offers convince you. Meridian diagnosis is an element of traditional Chinese medicine - a combination of ancient medical lore and modern technology especially useful for the early diagnosis of bodily weaknesses and diseases. 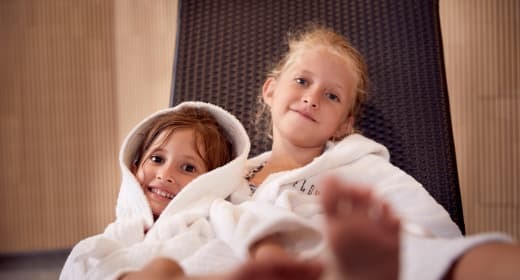 Medical wellness during your holidays does not have to be expensive: many packages at the medical wellness hotels are recognised as treatment expenses by private health insurances. To ensure your appointment at the medical wellness facilities, please place a reservation before your departure. Plan your journey to the Dolce Vita Hotels, your medical wellness hotels, well in advance and do your body some good. The Dolce Vita team is looking forward to your non-committal enquiry for your medical wellness holidays - your health is worth it. You can find the wellness packages of the Dolce Vita Hotels in South Tyrol here.